We have here the PCSO official EZ2 Results from the PCSO 2D lotto draw today (Sunday). 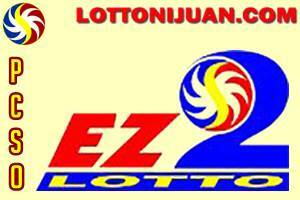 The October 28 2018 EZ2 lotto draw was held at the Philippine Charity Sweepstakes Office. In order to win the prize you must picked the correct 2-number combination in exact order. You can also check out the Swertres results. What gadgets or smart phones will buy in case you win? how about vacation trip? Comment it below. You can check out HERE the EZ2 OCTOBER 2018 Results History number frequency (madalas lumabas).